What was a small difference in model number/suffix becomes a wider split as the 750/760D become the 800D and 77D. 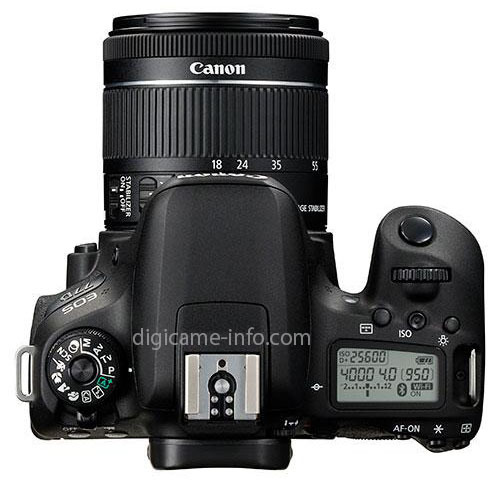 The 77D becomes a cheaper 80D and the numbering split added to our Canon DSLR timeline. The EOS 77D will be available from April 2017 with an RRP of £829.99/ €1,079.99. The EOS 77D + EF-S 18-55mm f/4-5.6 IS STM will be available from April 2017 with an RRP of £919.99/ €1,199.99. The difference is most obvious in the top view. 3 Compatible with Android™ smartphone and tablet versions 4.0/4.1/4.2/4.3/4.4/5.0/5.1/6.0/7.0. 4Compatible with select smartphone and tablet devices (AndroidTM version 5.0 or later and the following iOS® devices: iPhone 4s or later, iPad 3rd gen. or later, iPod Touch 5th gen. or later) equipped with Bluetooth® version 4.0 or later and the Camera Connect App Ver. 1.3.20 or above. This application is not guaranteed to operate on all listed devices, even if minimum requirements are met. 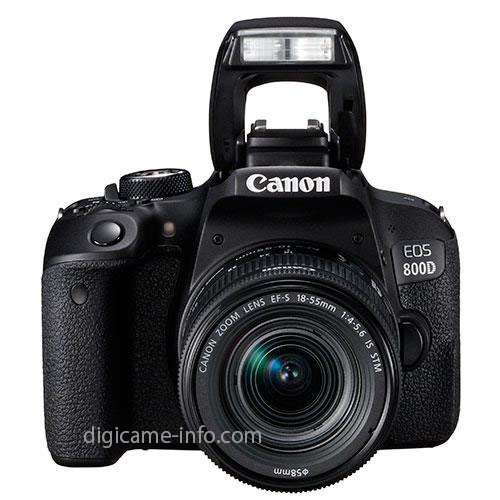 United Kingdom, Republic of Ireland, 15 February 2017 – Canon today introduces two new DSLR cameras to the EOS family – the EOS 77D and EOS 800D. Combining leading imaging technologies, including a 24.2-megapixel APS-C CMOS sensor and DIGIC 7 processor, the EOS 77D offers high-end performance and full control and is ideal if you’re looking to upgrade your kit and refine your skills, while the EOS 800D is great way to start your first DSLR journey. Alongside the cameras, Canon welcomes the EF-S 18-55mm f/4-5.6 IS STM – the smallest[i] non-retractable DSLR kit lens of its focal range – as well as the Remote Controller BR-E1, perfect for remote capture with no line of sight up to 5m away. With the same sensor technology found in the iconic EOS 80D and Canon’s latest processor – DIGIC 7 – both cameras capture scenes in impressive quality, with richer detail, while being fast enough to ensure a crystal clear image. Boasting the world’s fastest auto focus using Live View mode at an astonishing 0.03 seconds, the cameras deliver pin-sharp precision, and with the ability to shoot at six frames a second fast moving subjects are captured with ease. To help make the camera your own, the EOS 77D is offers full control, with dual control wheels to adjust settings like aperture and shutter speed, and top panel LCD to help you see every setting. For less seasoned photographers, the EOS 800D’s guided interface teaches you how camera settings work as you shoot, transforming your photography and helping you grow in skill. NFC and Wi-Fi lets you simply share images and movies to compatible smart devices or a Canon Connect Station before editing and sharing with the world. For a constant connection, Bluetooth® lets you turn on and browse photos without having to take the camera from your bag, or operate it remotely via a smart device or the new Remote Controller BR-E1. The new EF-S 18-55mm f/4-5.6 IS STM kit lens is an ideal lens to get started with and complements an all-rounder DSLR with the capability to shoot a wide range of pictures, from landscape to portraits. The smallest1 in its class, the lens is packed with a 4-stop Image Stabilizer for steady low-light or full zoom shots, 7 blade circular aperture for pleasing background blur in portraits. For video scenes Servo AF with near-silent STM is perfect for focusing without distracting noise. · The EOS 77D will be available from April 2017 with an RRP of £829.99/ €1,079.99. · The EOS 77D + EF-S 18-55mm f/4-5.6 IS STM will be available from April 2017 with an RRP of £919.99/ €1,199.99. SKU: 2140C001 some form of remote controller? 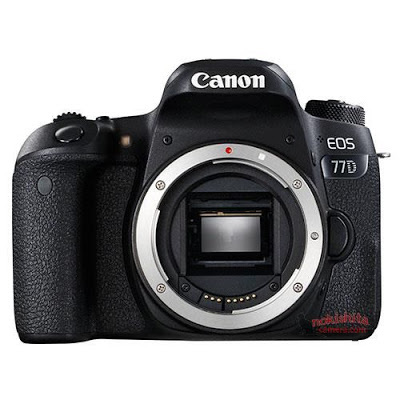 Of course this might be a 770D here or even a sign that Canon finally wants to bring the US up to speed, and ditch the Rebel line with its localised naming conventions. Replacements for the 750/760 or some thing new? 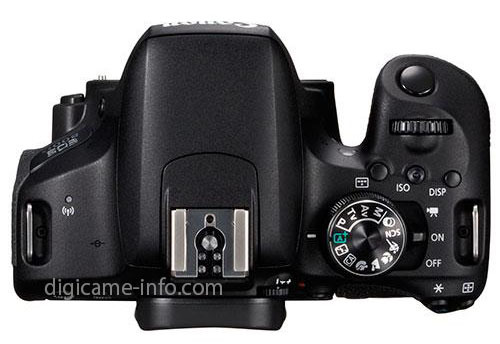 6th The 760D and 750D are announced. The timeline chart below has been updated to show new cameras. 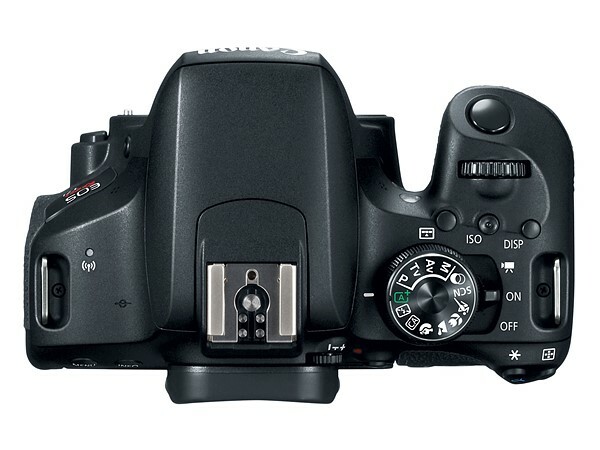 5th The split of the xxxD line into 750/760D suggests changes in Canon’s marketing philosophy for this line of cameras. 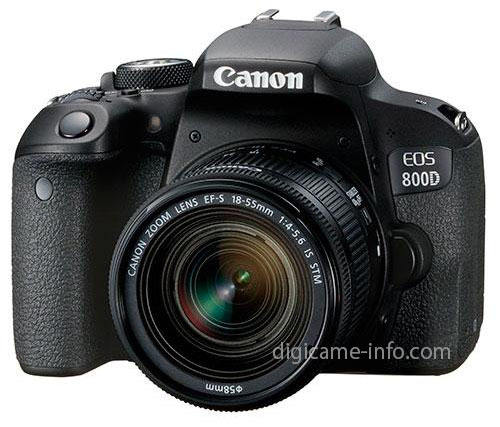 Will we see an 800D and 810D? or how about a 770D/780D? Here are some of the earlier models.